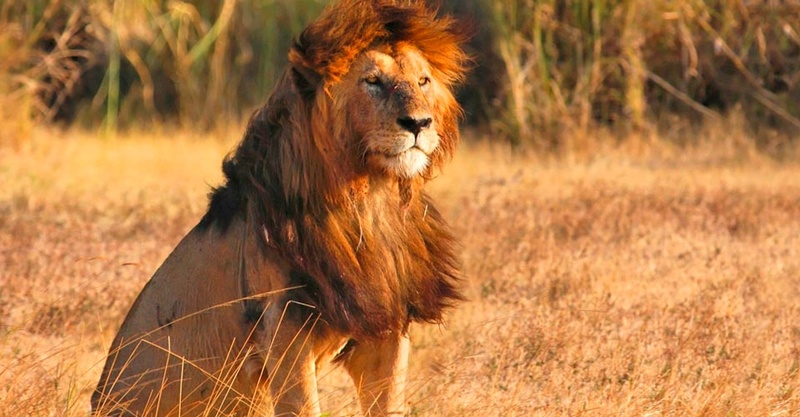 African Safari is a photographer’s wildest dream. With its stunning scenery, plentiful wildlife and colorful tribes, it offers an infinite photographic opportunities. The African region, having its spectacular scenery, abundant wildlife and vibrant tribes provides unlimited photographic opportunities. 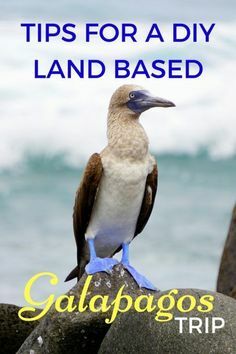 The quantity and number of unique animals and birds to photograph in one safari is incredible and could be challenging for both a first timer and professional. 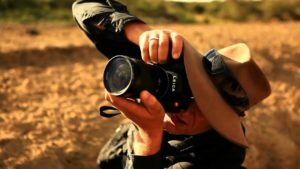 Our blog provides photographic safaris that offer a unique experience captured by a wildlife photographer based in the bush who has years of experience in taking pictures of Africa’s wildlife and landscapes. Powered to produce compelling images and stories which make a difference, our work breaks expectations by getting off the beaten path, submerged in the cultures and wild environments. Our passion for the natural world has grown into a life long dedication to encourage others to discover, value and preserve the beauty of our vulnerable planet. Our journey as an African wildlife photographer has taken us on adventures spanning the entire African continent. A trip to The Congo sounds fascinating. You are certainly excited, and this country located in Central Africa is full of exciting things to do. It is quite large and heavily populated, with over 78 million people. Did you know that the Democratic Republic of the Congo used to be known as Zaire? 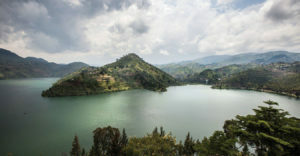 As you prepare for your travels, get to know the top places of interest that you might want to visit when you show up in The Congo. 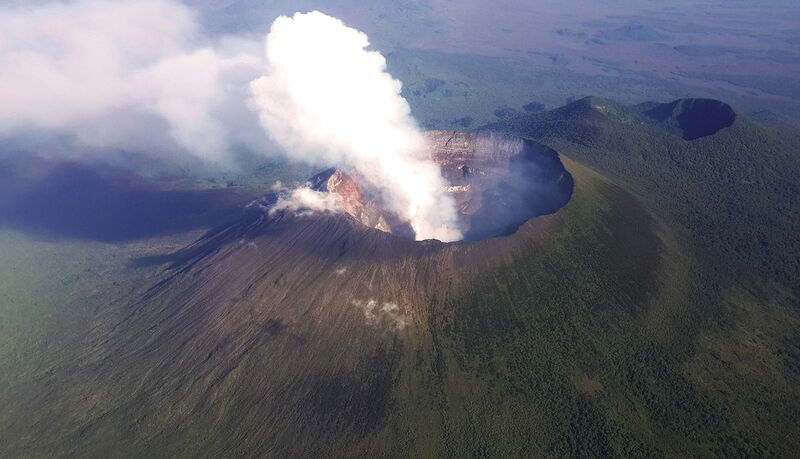 Mount Nyiragongo is located in Goma, and it is a strato-volcano. Hire a park ranger and reach the summit. This excursion is going to typically take you between four and six hours according to reviews. Can you imagine what it's going to be like to see the huge lava lake? Once you reach what's called the crater rim, you're going to get a good look at the lava lake, and you are going to want to take pictures. It is said to be quite the amazing experience. You want to be sure you pack properly and wear appropriate attire. Next up is a visit to Virunga National Park, which is located in the eastern portion of The Congo, also in Goma. This is the oldest national park in all of Africa, so you're in for a treat. You are going to see tons of wildlife, including endangered species. Virunga National Park stretches for 3000 square miles, and you can imagine it includes all different types of terrain. You're not going to be able to see it all, but you can certainly have your once in a lifetime experience there. Lake Kivu is also in Goma, and while there, you can go on a nice boat ride. That sounds relaxing, don't you think? If you want to be a little more adventurous, you can opt for renting jet skis or going kite surfing. You're going to be privy to more beautiful views, and you're going to see quite a few bird species. It should be mentioned that the reviews say that this lake is also full of methane gas that is being pumped out. 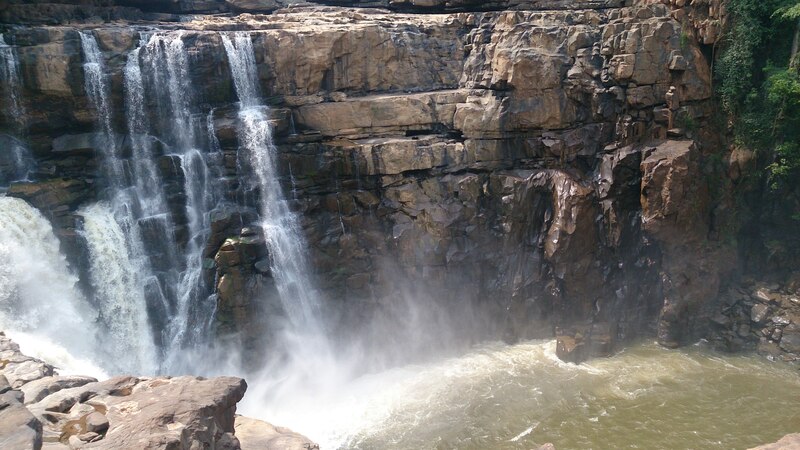 Zongo Falls is another natural attraction that you're going to want to see when visiting the Democratic Republic of the Congo. You are going to love the beauty of the falls. Keep in mind that reviews say that there are plenty of people waiting there to charge you for different things. You don't have to take every opportunity to pay, but there is an entrance fee to the falls at the very least. If you've ever played tourists in different parts of the world, you know what to expect. One of the best ways to travel through Africa is via bus transport. Depending on which country you are in it can be reliable or less so. Check online to find the operators in the area you are visiting and always try to book your bus tickets before you arrive. The Jardin Botanique de Kisantu is a wonderful place to visit in The Congo as well. Expect to spend about an hour touring the gardens there. People say that guide is gifted, and that the experience is quite pleasant. There is a large restaurant on site that people have good things to say about, too. It would make for a lovely afternoon visiting the botanical gardens and enjoying a meal. Add Jardin Botanique de Kisantu to your list. When visiting the Democratic Republic of the Congo, there are so many opportunities for places of interest to visit. You're going to love traveling around and exploring everything the country has to offer. You're going to love getting to mingle with the locals and learning about the culture of The Congo as well. 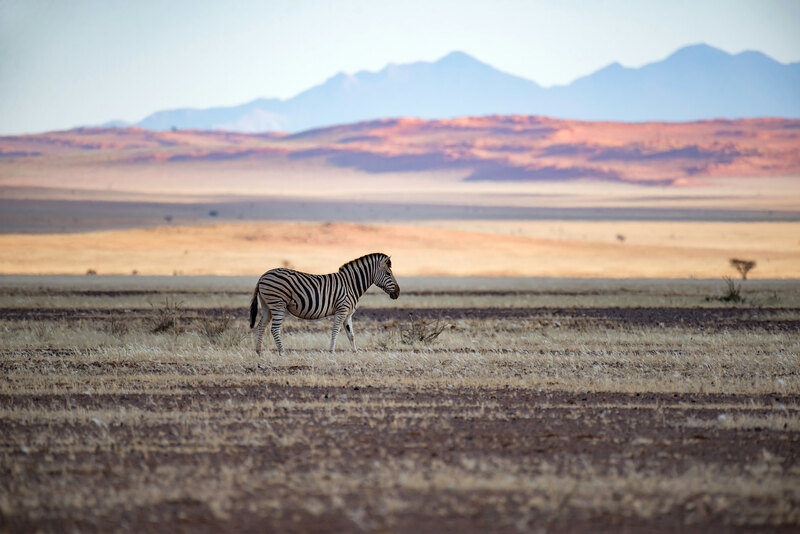 It's one of the most exotic destinations in the world, and it's one of the best places to visit in Africa. Enjoy traveling to The Congo, which will provide you with the adventure of a lifetime. There are many different ways to experience Africa. One of the coolest excursions you can take is in a hot air balloon. There are some amazing locations for rides all over the continent. It helps to know which destinations are the most popular so that you can get the most out of this spectacular adventure. Here are 6 of the best locations for enjoying a hot air balloon ride in Africa. 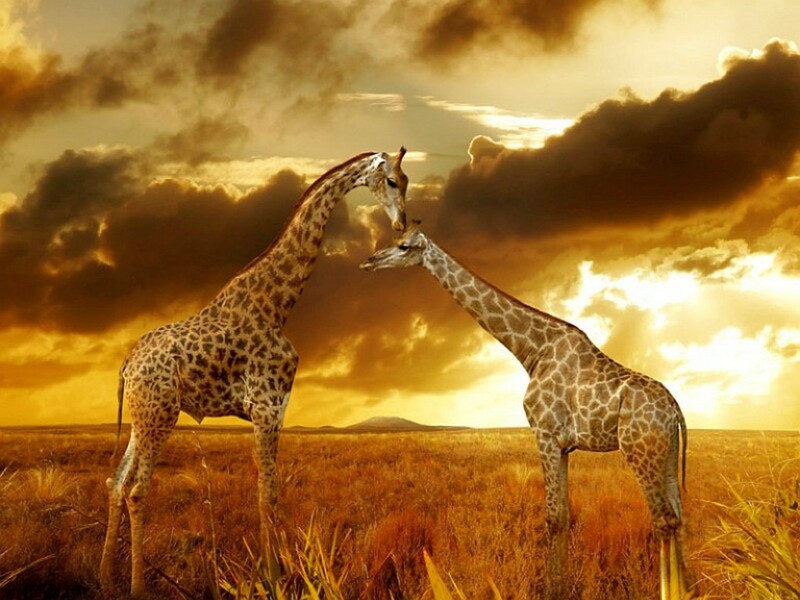 Have you heard of Serengeti National Park? This is one of the best places to to get that aerial view. 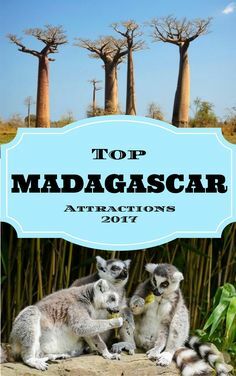 You're going to see tons of wildlife, plants, flowers and well, more than you can imagine. It is going to be a gorgeous view throughout your trip. Tanzania, and more specifically, Serengeti National Park is a great place to choose for your hot air balloon adventure. 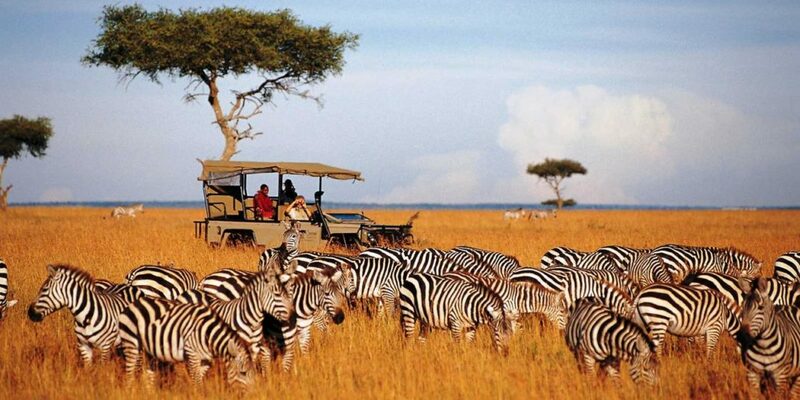 Another great choice is Maasai Mara National Park. This national park is located in Kenya. Both of the national parks mentioned are great places to watch the annual event known as the 'Great Migration' from above. You might have referenced the Lion King, or maybe it took you back to your days in school. Yet you are going to witness this great event in person, from hundreds of feet in the air, riding in a hot air balloon. The first national park mentioned isn't the only place to take a hot air balloon ride in Tanzania. 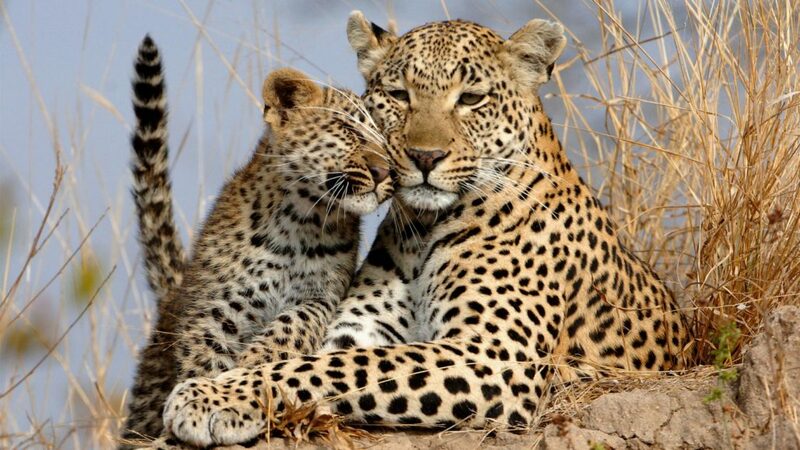 Another popular destination is Tarangire National Park. Imagine costing through the air at sunrise, and suddenly you look down to see a large group of elephants. What a majestic picture, right? 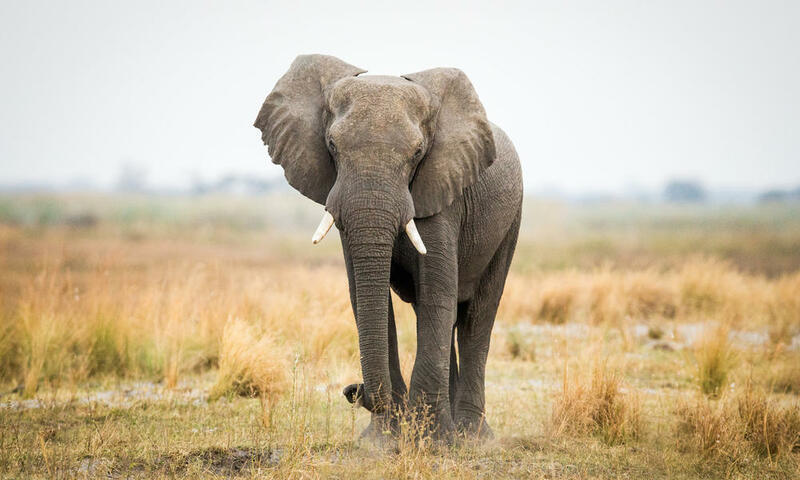 This destination is all about the elephants according to reviews. So if elephants are what you want to see, this is your spot. You've heard of a winter wonderland, but what about a desert wonderland? 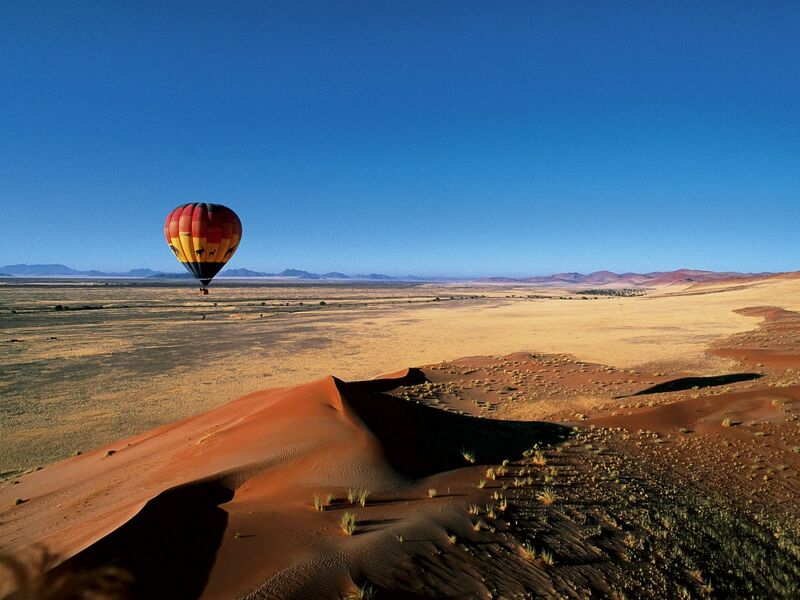 That's what you get when you take a hot air balloon ride in Namibia, specifically in Sossusvlei. Some of the sand dunes there are up to 800 feet tall. It would certainly be magnificent to see such a sight. What a place to take a ride in a hot air balloon. It sounds like quite the adventure. 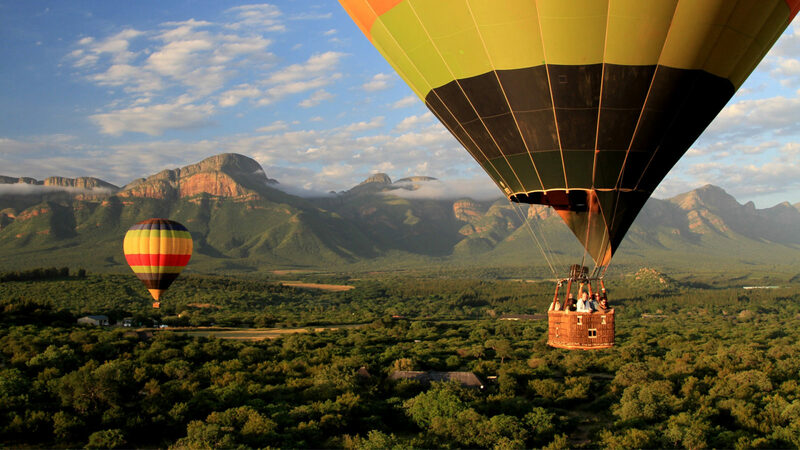 Magaliesberg is a great place to take a hot air balloon ride, and it's located in South Africa. This is a historic site, and so it will certainly be a unique experience, especially getting to see it from up in the air. You just can't beat the views that you get when riding in a hot air balloon, can you? You can see that you visited one of the best heritage sites in the world, yet you did it in very unique fashion. The Drakensberg is also a popular place in South Africa for taking a hot air balloon ride. Make your way to Kamberg, and your adventure is going to begin at sunrise. According to reviews, you get to enjoy breakfast after your flight. Each one of these destinations sounds lovely. You might be wondering how long the hot air balloon rides last. Reviews point to the Drakensberg flight lasting about an hour. Each experience is unique, and you can look more at the details when booking your hot air balloon rides for your travels around Africa. Which of these adventures do you want to book first? It's kind of difficult to choose because each one is such a marvelous experience that awaits you. Perhaps you have been planning to travel to a specific area of Africa. In that case, you may have noticed that one of these hot air balloon ride adventures is closer to your intended destination. That would make things easier on you. 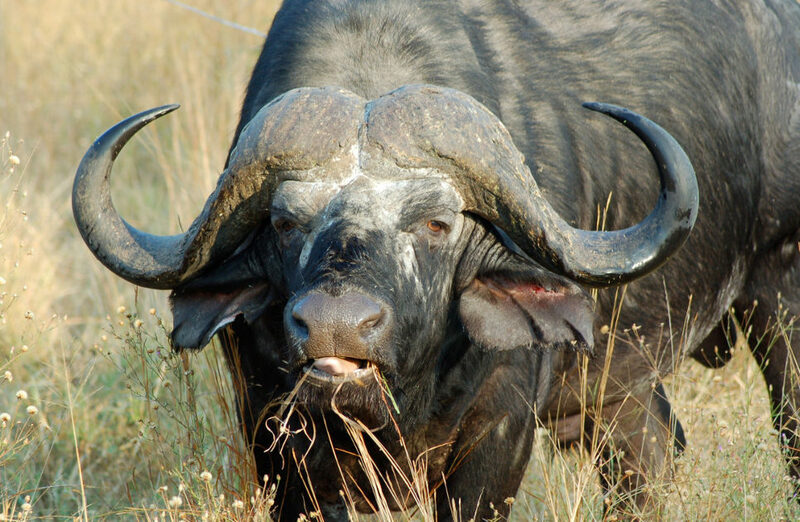 Going on an African safari is often a once in a lifetime trip for many people. 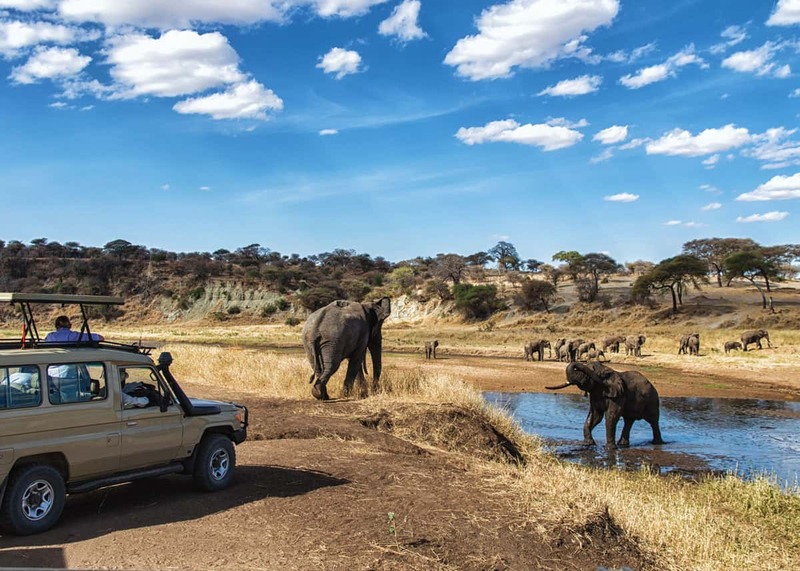 Therefore, anyone that has booked such a safari needs to ensure that they take one of the best cameras they can afford with them so that they can take high-quality photographs and videos to remember their adventure. So, in this article, we are going to briefly detail some of the features you should be looking out for in the top 6 best safari cameras for an African safari. 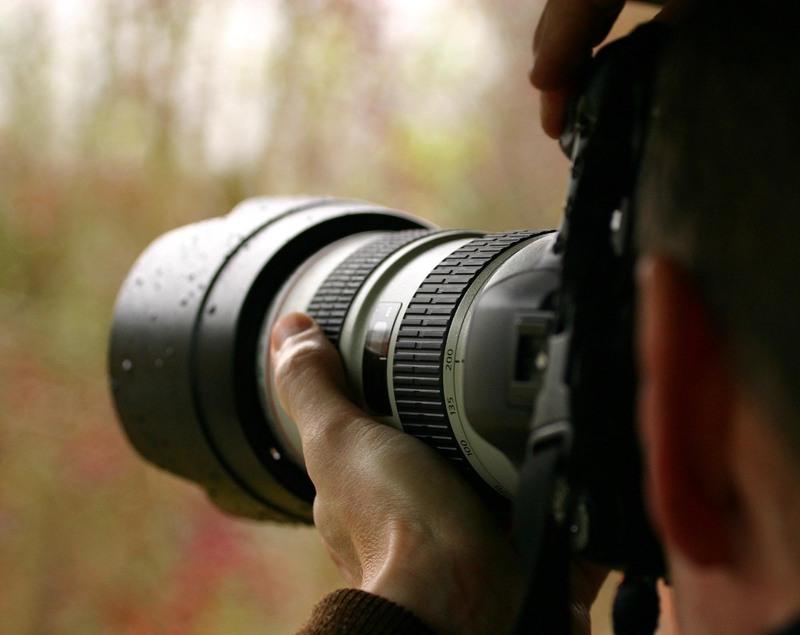 To start with, good optical zoom features are important when it comes to photographing wildlife. You need to be able to zoom in and out depending on the size of the animal and the distance it is away from you. You will probably have to stay quite a long distance away from the dangerous animals, such as the lions, so you need good zooming capabilities. Long battery life or an interchange battery is an important feature of any good safari camera. You don't know how long it will be until you can reach a mains electricity supply to recharge the battery, as even in international hotels, there are many power outages in Africa. If you buy a camera that has an easy to remove rechargeable battery, you could consider buying a few spares and taking a few fully-charged spares on your adventure. That way, you can be sure you will not run out of power when the action starts. Often you have to wait hours to see the most exciting animals. Wide range operating temperature is also very important. Africa can be very, very hot and many electrical equipment starts to malfunction or overheat and power-off when the temperature get too high. 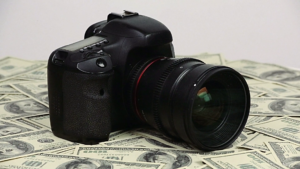 This means you need to select a camera that is designed to work in extreme conditions. You shouldn't expect to rely on your smartphones camera, as unless it is a high-end model, there is a high probably that it will stop working on really hot days in Africa. 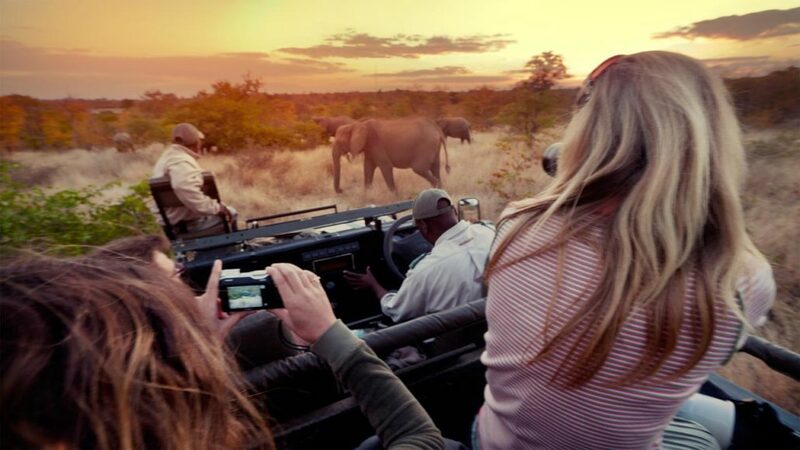 A large amount of onboard storage or easy access to a high-capacity SD card slot is vital for any camera when you are going on an African safari. After all, you want to capture as much footage as possible and probably won't have time to review your footage during the trip and delete unwanted clips to free up space. You ideally want to have enough storage capacity to be able to shoot for 12 hours continuously for the duration of your trips. There are no computer hardware stores in African outback, so make sure you take lots of SD cards with you. If you plan to go on a nighttime safari, you need a camera that has night vision capabilities. Devices with night-vision tend to be much more expensive, but they are worth it to photograph the activities of large wild animals at night. 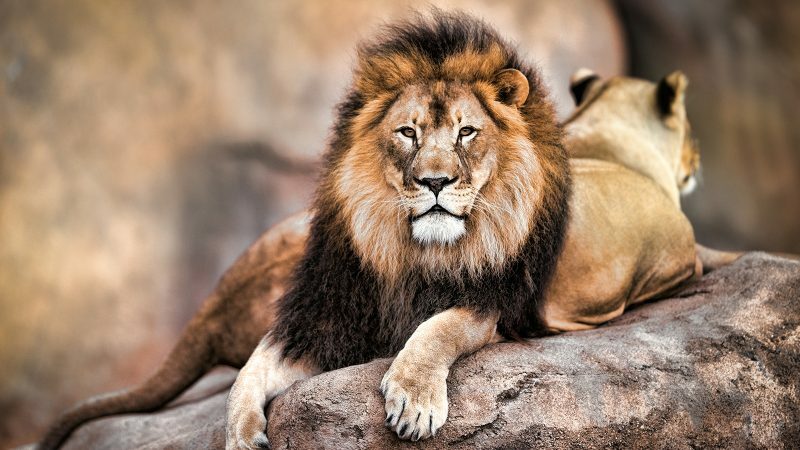 Autofocus and ease of operation are essential features for shooting any type of video footage of African animals. 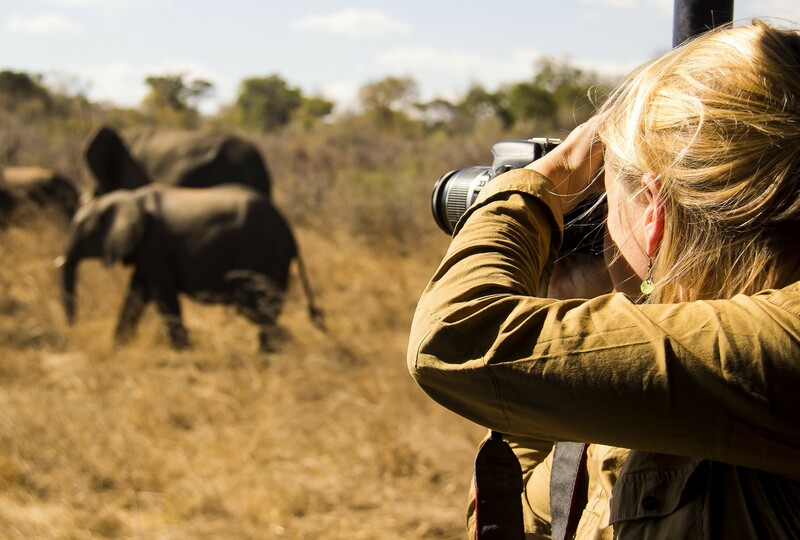 You don't want to miss out on capturing an elephant stampede or a lion hunting a zebra because your camera requires a lengthy setup between shots. Above we have covered some of the features you need to keep in mind when shopping for a good digital camera for capturing safari footage. 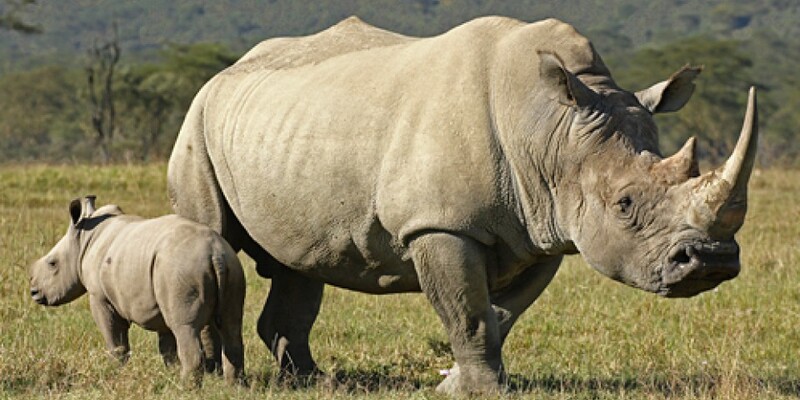 You will find lots of great buying guides and customers reviews by searching for the term "Top 6 Best Safari Camera for an African safari" using your favorite search engine. 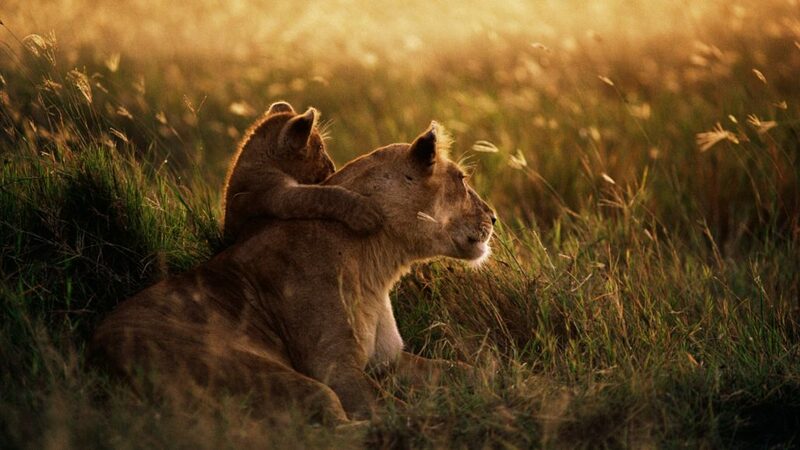 You can also check out YouTube to watch video reviews of the best safari cameras in action. Remember that technology is improving all the time so the best camera of 2012 is unlikely to still be the best camera in 2018. African Wildlife Photography Maggy Meyer is with John Masek and Gerdi Simon at Masai Mara National Park KENYA. At Elephant Rescue Park the elephants have a new life of freedom, hope and love. Here there is no riding, no hooks and no chains. The top Africa travel blogs that will help you plan your African adventures. The most beautiful lodges for safari and beach. Including destinations in Tanzania, Kenya, South Africa, Mozambique, Namibia, Zambia, Zimbabwe, Zanzibar. These elephants joined us on our morning coffee break on safari at Klaserie Sands River Camp in Kruger. 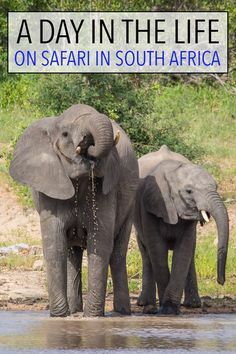 Click through to read more about what to expect at a safari lodge in South Africa including a detailed breakdown of the day's schedule. The Ultimate Guide To The Keskenkija Loop Trek In Kyrgyzstan A detailed guide on everything you need to know about the brand new Keskenkija Loop Trek in the Jyrgalan Valley in Kyrgyzstan. 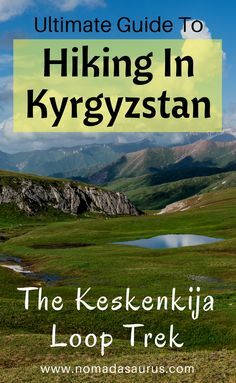 Don't miss Jyrgalan off your list of places to visit in Kyrgyzstan. 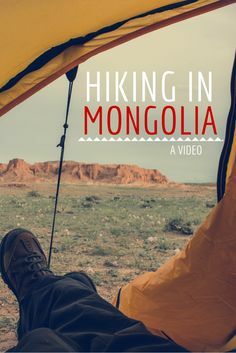 I've been on a three weeks hiking trip through Mongolia and I've brought you a video from this amazing adventure!